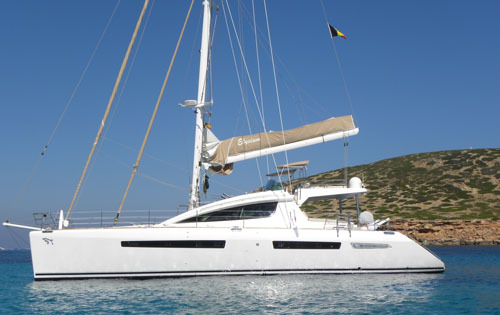 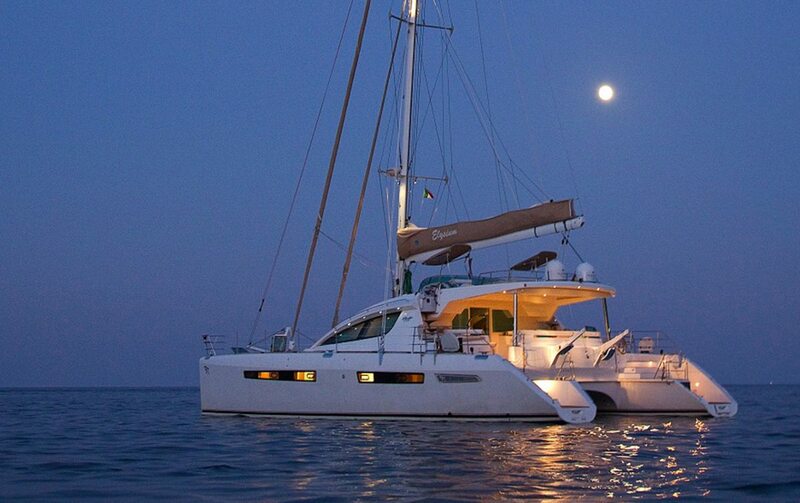 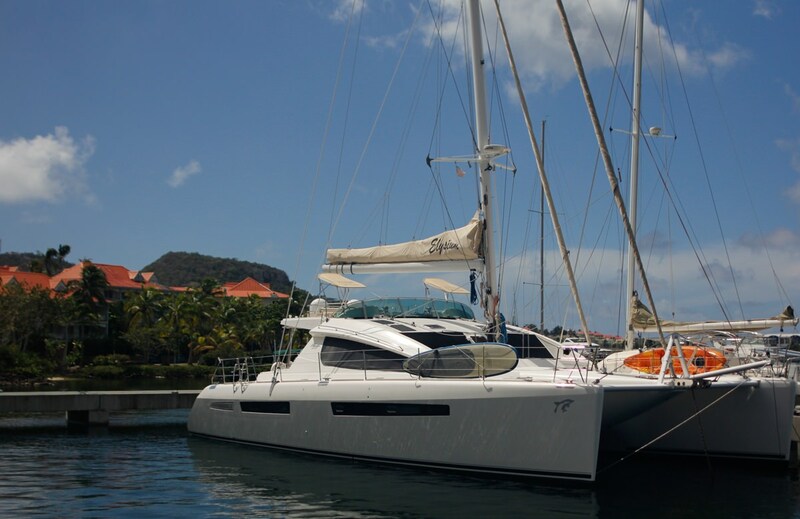 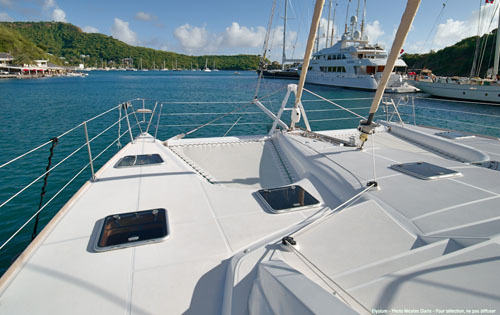 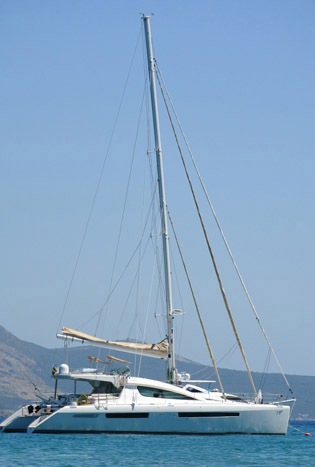 ELYSIUM is a stunning 62ft Privilege Catamaran available for private charter throughout the Caribbean. 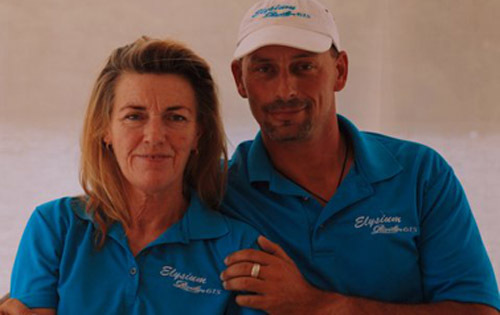 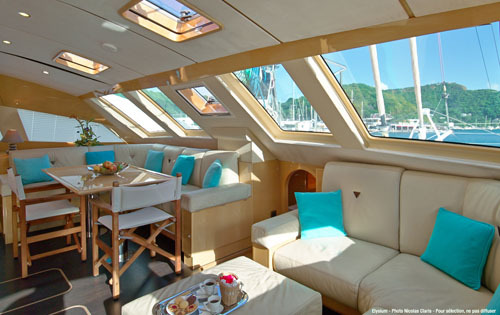 Her elegantly appointed interior and 5-star service makes ELYSIUM the ultimate luxury cruising yacht for couples who want to be pampered in style during the holiday of their dreams. 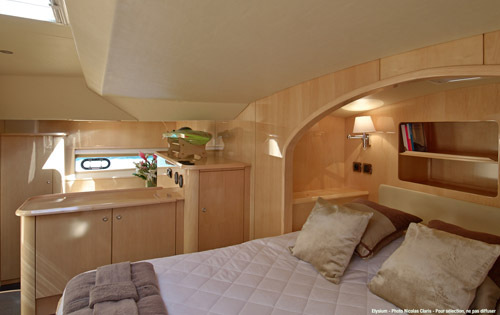 Typical of the quality for which Priviledge is renowned, ELYSIUM boasts a spacious and airy interior, finely finished in beech wood, with modern lines and comfortable furnishings perfect for holidays in the sun. 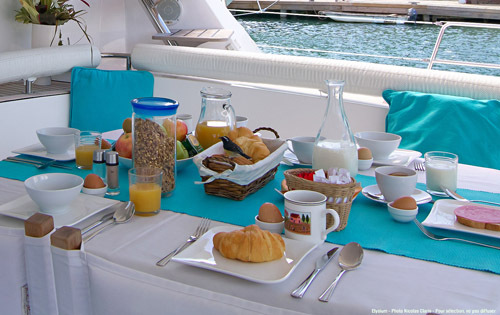 Fully air-conditioned throughout and with a fully-equipped galley, guests can enjoy dining on local delicacies in cool comfort or al fresco on the covered aft deck. 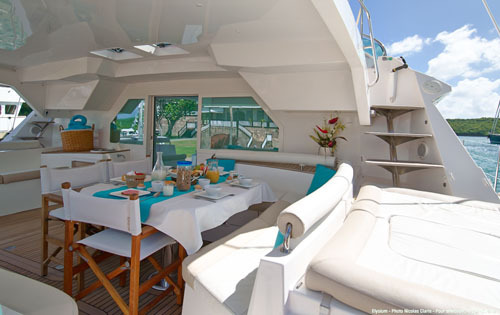 Above decks enjoy fun in the sun, as ELYSIUM’s foredeck and trampolines provide ample room for sunbathing and relaxation. 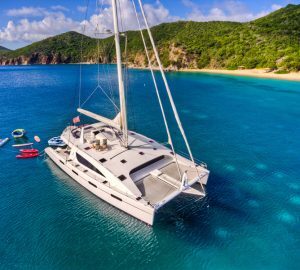 She carries a wide range of water toys including water skis, snorkeling and fishing equipment, noodles and towable toy, all easily accessed from her two swim platforms. 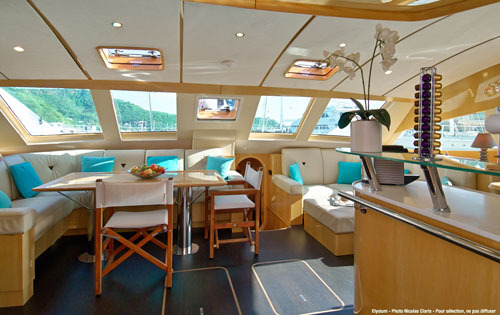 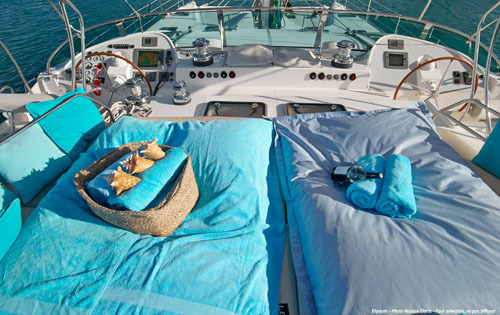 Or relax in the shade on an aft deck with a cooling cocktail and take in the stunning view. 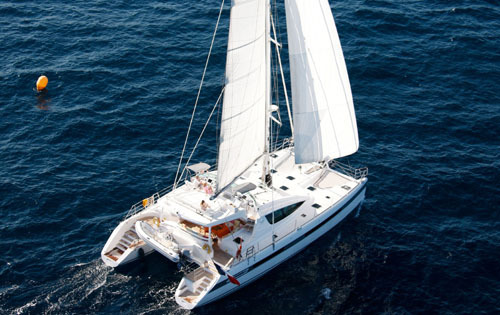 ELYSIUM accommodates up to 7 guests in luxury and comfort, offering four spacious private staterooms, three with king-sized beds and one with a queen-size bed. 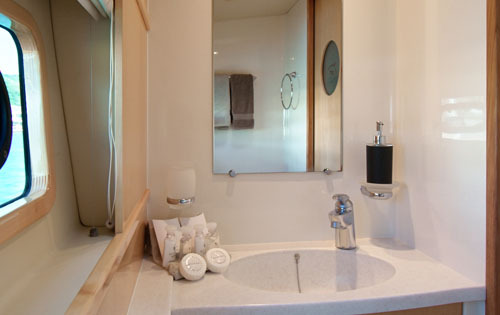 All feature a large ensuite head with separate shower, TV/DVD/IPOD dock and individual climate controls. 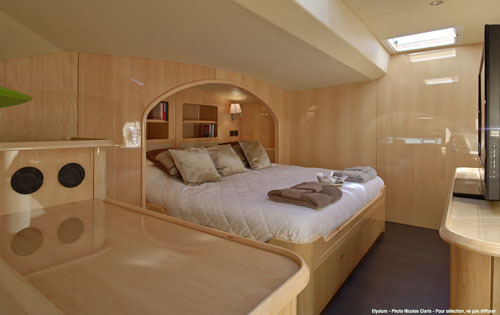 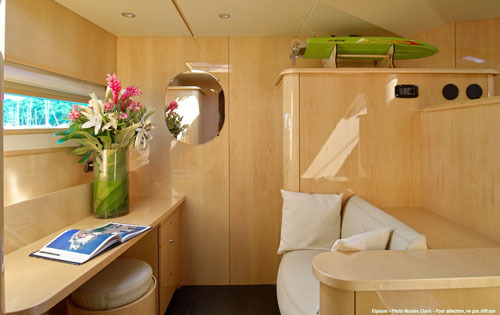 Her light wood finish and simple yet elegant décor allow you to cruise crystalline waters while enjoying all of the comforts and amenities you desire. 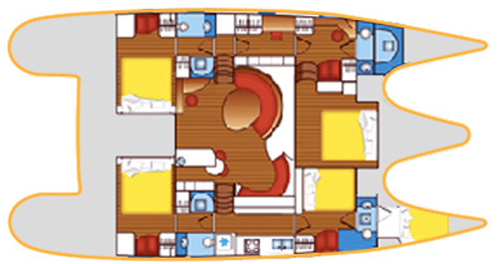 ELYSIUM boasts full air conditioning and TV/DVD/Stereo entertainment systems throughout, spacious salon with eat-in dining area, private electric heads with separate showers and hair dryers in each stateroom. 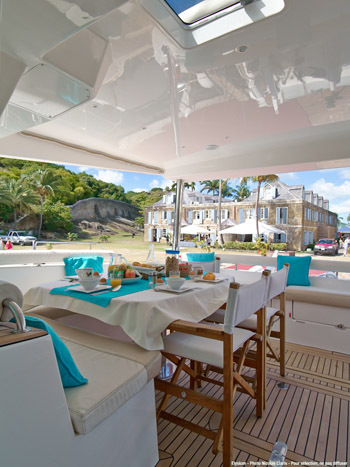 Above-decks she offer a spacious covered cockpit with plush seating and dining space, barbecue, adjustable sun awning and deck shower. 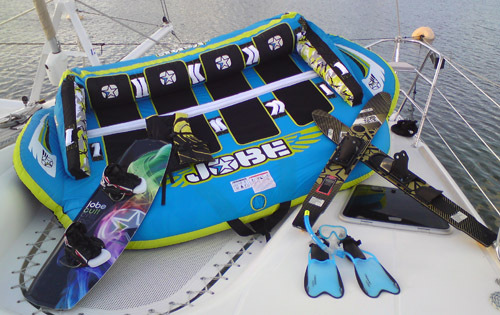 Water toys include a water-jet tender with 98HP motor, water skis, wakeboard, towable toys, noodles, fishing and snorkeling gear. 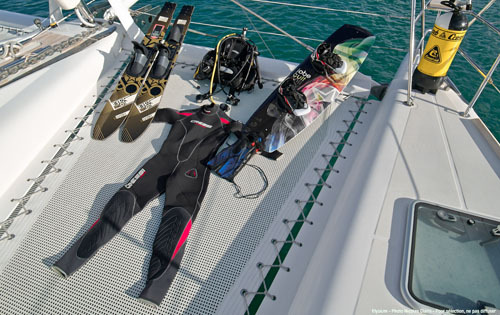 Rendezvous diving arranged upon request.